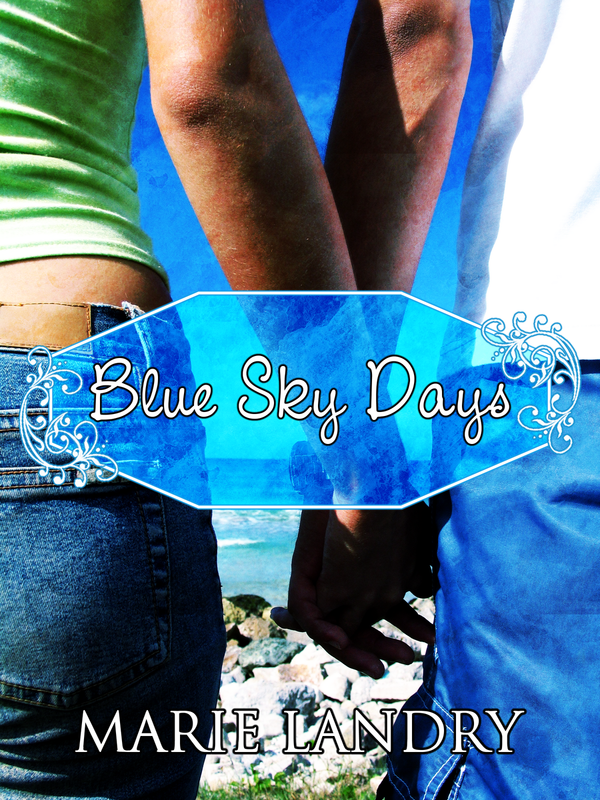 Tomorrow will be the six-month publication anniversary of my debut novel, Blue Sky Days. I can't believe it's been six months since I sent my baby out in the world. So why am I including this post in Canadian Spotlight Month? Well, I'm sure most of you have guessed by now that I'm Canadian, but some of you may not know that I'm an author. I'm extremely proud to be Canadian, and I feel really blessed to be part of this amazing community of bloggers who have welcomed me with open arms, supported me, and encouraged me. Blogging would be fun no matter what, but it's you guys who make it amazing. It's all of you who keep me going, keep me thinking up new content, writing reviews, and striving to be the best blogger I can be. And that extends into my writing. I know that I owe bloggers a lot - you're the ones who read my book, review it, spread the word, and helped me create a buzz when nobody in the blogosphere even knew who I was. I keep you guys in mind while I write, and look forward to hearing what you think of the words I write. It's scary sending a book out in the world to be judged and ridiculed and ripped apart, but it's also thrilling when you discover that it's touched people or entertained them or made them happy. As a proud Canadian author, I set my books in Canada. 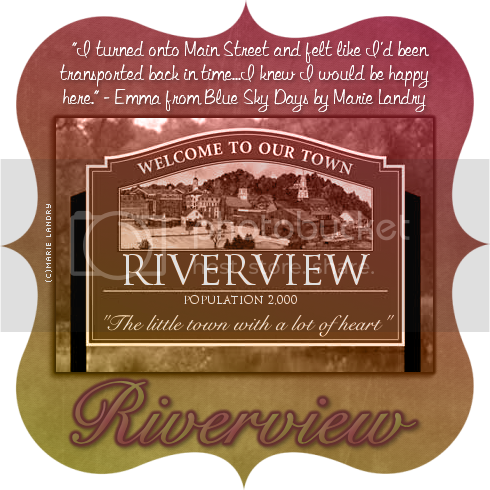 Blue Sky Days was set in a fictional town called Riverview, about three hours north of Toronto. I went with a fictional town because it gave me carte blanche - I didn't have to worry about people reading it and saying 'she got that street wrong' or 'that business doesn't exist there'. Emma, the main character in the book is from Toronto, and I make sure to mention that several times, since Toronto is a well-known city and people can get a basic idea of where my fictional town was on the map. My second book (which will hopefully be out this fall) is a fictionalized version of my own city. I tweaked the name, but everything else (with the exception of business names) is the same, right down to street names. I loved writing it because I know the city well, and it felt like getting to explore it in my mind and introduce my characters to places and people I know. At one point, the characters visit Ottawa - it's another of my favourite cities, but it doesn't get talked about much in books, which is a shame since it's the nation's capital. And my third book, the one I'm writing now, is set on a fictional island in the Thousand Islands around the Kingston area. It's kind of a mixture of the only two islands I'm familiar with - Amherst Island and Wolfe Island - and a healthy dose of my own imagination. I might not always set my books in Canada - in fact, I have two story ideas that are set in Ireland - but I will always mention Canada in some way. I don't think Canada gets the recognition it deserves in books, TV, and movies. Few of the Canadian authors I'm familiar with actually set their books in Canada. I'd love to be able to break the stereotypes by seeing more books set here - yes, we say 'eh' but it's not every other word out of our mouths. I don't pronounce 'about' as 'aboot'. Not everything we eat is smothered in maple syrup. Yes, we're a friendly bunch, but not obnoxiously so the way some people portray us. And yes, poutine is awesome and if you've never had it, you're missing out. 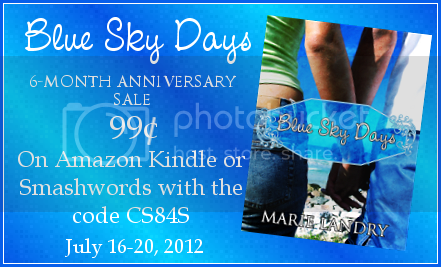 To celebrate the six-month anniversary of Blue Sky Days, I'm lowering the price from $2.99 to 99 cents from today until Friday. The price is automatically reduced on Amazon, but if you'd like to buy a copy and have any other type of e-reader, you can get the book for 99 cents on Smashwords with the coupon code CS84S. I would be eternally grateful to anyone who would help spread the word about the sale via Facebook, Twitter, Google+, etc. Thank you so much to everyone who been so wonderful and supportive over the last six months. I hope to give you lots of books to read in the future! 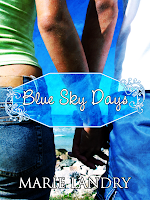 UPDATE: The wonderful Rachelia from Bookish Comforts (who did an awesome Top 10 Recommended Canadian Reads guest post for Canadian Spotlight Month) is giving away FOUR copies of Blue Sky Days on her blog this week to celebrate the anniversary plus the Canadian Reading Challenge. Be sure to hop on over there and enter! What's your favourite book set in Canada? Do you pay attention to the setting in books, or is it sort of just background information for you that you don't really process? I love books where the setting is like another character. Anna and the French Kiss was like that for me - Paris was like another character, and I completely fell in love with it the way I did when I visited at the age of 17. Wow - 6 months already. Congratulations. You're right, setting is so vital. I've just read a vampire book set in my home city - Manchester, England - it has a different effect to see something closer to your own 'real life' than just another generic city setting. It's great to see people drawing on their own real locations, they're always more detailed and varied. 2011 release Undermountain by Eric Edstrom (a Brit I think...) is set in Canada and works really well because of the scale of scenery needed. Not sure if you've come across it. Congrats on the 6 month book anniversary! :D I need to read more books set in Canada. As far as setting goes, sometimes I notice it and sometimes not at all. I think that's what makes writing that aspect harder for me because I don't really pay attention to it when I'm reading. Happy six months to your book baby! I love reading books that are set it Canada. Maybe because it's somewhat unusual to find one, it always gives me a thrill to think "hey, I've been there!"